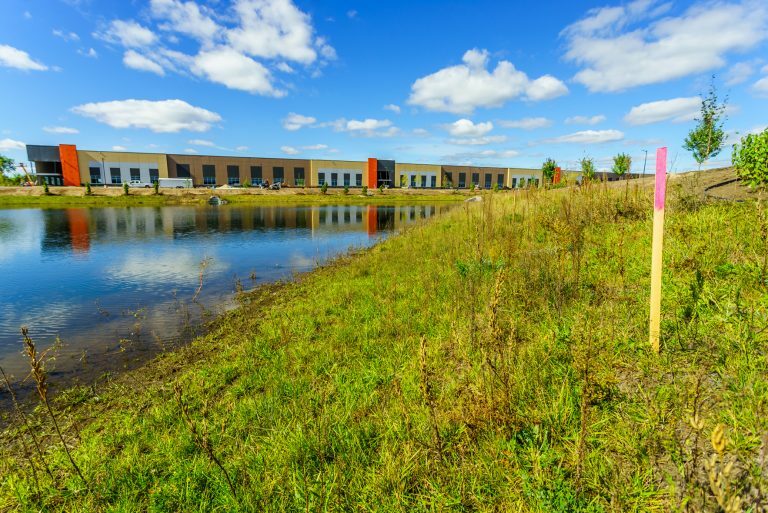 Accurate staking is essential at every step of the commercial property development process to avoid costly errors and downtime during construction. Because many subcontractors are working and interacting on the site, staking reduces the risk of mistakes because the exact locations of every element are clearly marked. A Commercial Site Layout Survey starts with completion of a boundary and topographic survey to be used for site planning and engineering design. Our land surveyors then take the architect or engineer’s design plans and mark the correct locations on the site for placement of all utilities and improvements on the property. We work closely with commercial contractors to determine the specific staking needs of the project. Depending on the parameters of the project, we can provide the survey and staking work for underground utilities, final grade elevations, above ground features and onsite details. We also provide paving support staking for roads and parking lots. We have decades of experience providing construction surveying and staking. E.G. 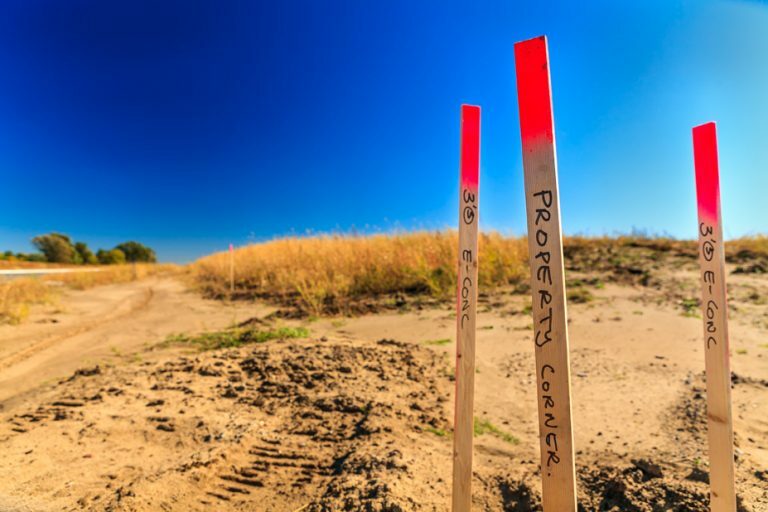 Rud & Sons can provide all of the land survey and on-site staking needed for non-residential property developments and commercial real estate projects. We are able to assist with every facet of the process to ensure that projects are completed both accurately and efficiently.